Bitcoin's mining difficulty just recorded it's second largest drop ever. As miners have been throwing in the towel and closing up shop, the mining difficulty has been adjusting as well. Basically, as there are less miners competing to solve equations, the difficulty adjusts downward in order to keep roughly the same number of blocks produced each week. Today, the difficulty dropped by over 15%, which is the second largest drop, ever! As you can see, today's drop was the largest since November of 2011. That means today's drop was the largest in over 7 years! Over the past few years the hashrate and mining difficulty have basically only gone up, even when prices went down. This had to do with more (and better) mining rigs jumping in. The network is automatically adjusting and dropping the difficulty significantly in order to keep pace with this decline in miners. This built in balancing mechanism is why the bitcoin network can continue to operate at almost any price. Those saying that bitcoin is dead because miners are underwater don't fully understand how the process works. Eventually as the difficulty adjusts and more players exit the space, the cost of mining will also drop, leading to a lower break-even point for miners. Eventually that will balance out and the network will operate as before, at almost any price. 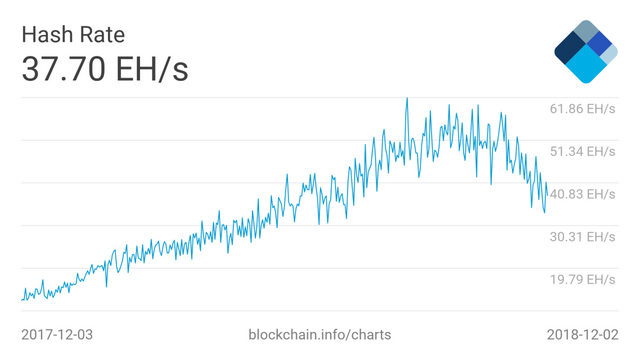 I laugh when people say that hash rates drive the price. No, hashrates are a response to the price. Yep. It was interesting that the hashrate continued to increase basically all of 2017 and 2018 even during price pullbacks. 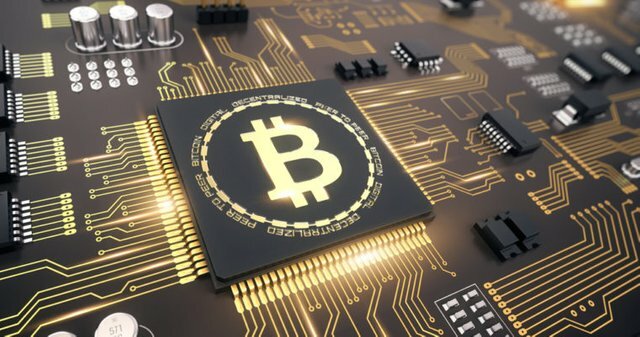 This is the first time miners are finally turning off the machines. Yes, I'm constantly surprised how many commentators don't understand this basic principle that mining difficulty adjusts downwards as well as upwards. It reflects a basic principle of economics that only the most efficient producers will survive difficult times in any industry. I have also seen complete claptrap that suggests that the bitcoin price reflects the cost of mining it when the reverse is true. Well there have been some historical correlations between mining costs and price. For example Fundstrat pointed out that price historically has traded at 2x the cost of mining (on average). Though as we know the cost of mining is not really a static figure in most cases. Drat, i was hoping for a real drop... one where i could use my computer to mine bitcoin! You may still get one. Though I don't think so. I could see $3k, I could even seen $2k. However, I couldn't see bitcoin breaking $1k to the downside at any time within the next or so unless there is a fundamental change, IE the US banning or some other monumental change. Breaking news! The FED just announced that everyone needs to turn in their old dollars for new super dollars. The new super dollars, each dollar will be worth 100 of the old dollars. The price of bitcoin immediately jumps to $1k. But, i don't think that will help me mine bitcoin on my computer (without GPUs). Some old mining contracts, which i instated when it was still going great. They have now been stalled until profitability returns, but also have an expiry date. Guess it is fine if they fall away, did make my money back some some extra since inception. so now I am all safe in specific use case alts and some investments in the big names. Yea, but in order to gain mass adoption as a currency or as a store of value, they were always going to get involved at some point. Haha, it will return, I'm sure! Indeed it will. I do think whoever is still in crypto right now deserves an award. Lol I and my crypto friends are die hard and hodling on by our fingernails at the moment. Lol. Indeed, I just have some coins that I feel strongly about with regards to use cases, @steem being one of my top favourites, so I really don't mind supporting something that I know is useful and is being used by a community that is proving its practicality. Yep, pretty tough to tell at this point which projects are legit and life changing and which ones are fluff. This will ultimately create a base for price as the remaining miners will leverage scale to operate at better margins as the difficulty comes down. The missing link will be the demand which would also find an attractive price soon (hopefully). Yep, their costs may stay the same but they will earn more rewards which makes them profitable at lower prices. Sha256 miners wont really help you with alts.